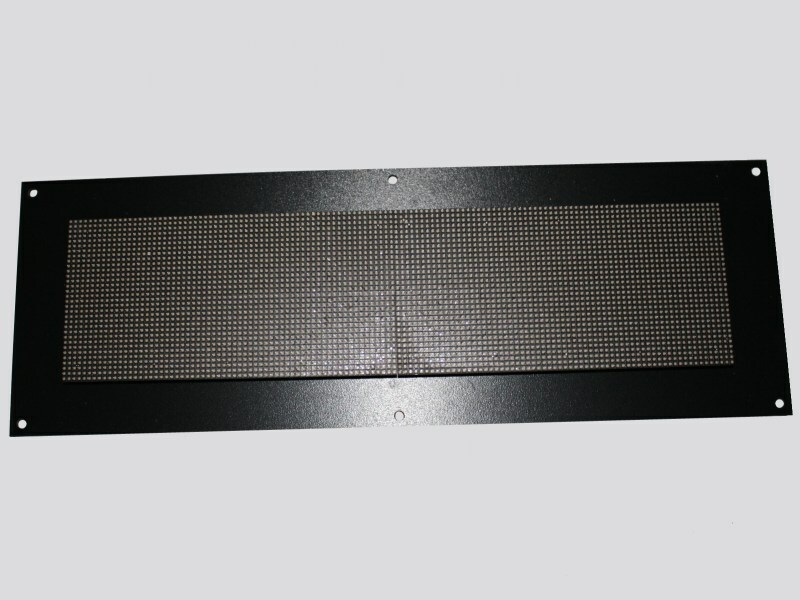 A FULL COLOUR LED Dot Matrix Display – pictures don't do them justice! 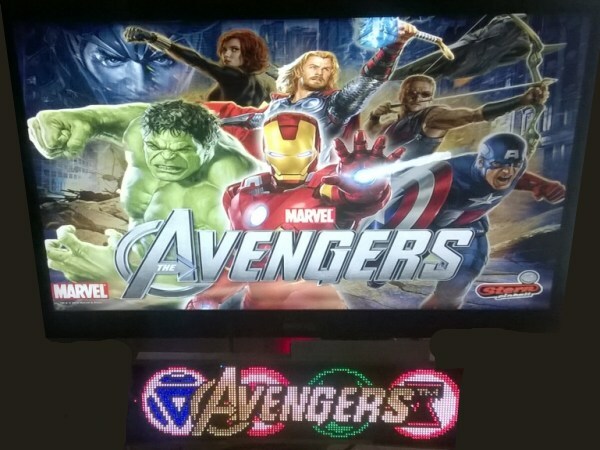 Contact us if you are looking for a display for your REAL pinball machine. 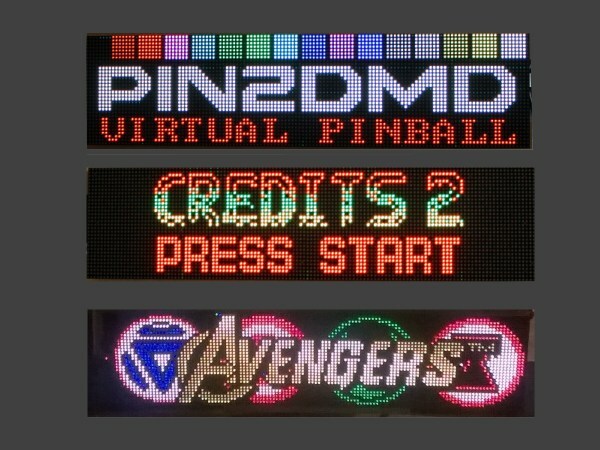 This unit uses a 128×32 pixel RGB Dot Matrix Display panel, mated up to some very clever hardware and software developed by the PIN2DMD project. The end result is a full colour DMD unit ready to be installed and used in your Virtual Pinball machine! Whilst our main focus is on Virtual Pinball, we can also help you out if you are looking for a replacement DMD unit to use in a REAL pinball machine. 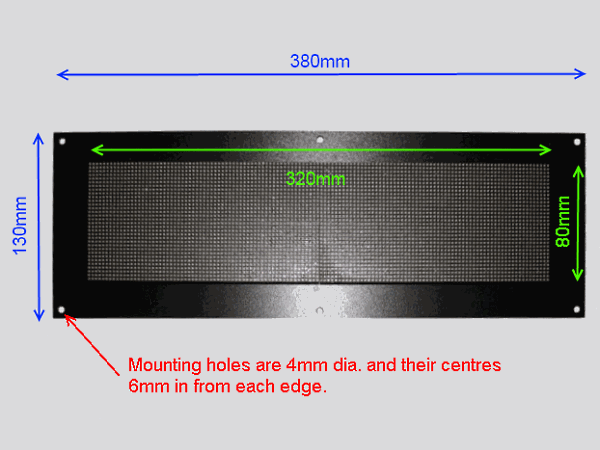 The DMD unit comes mounted to a frame ready for installation into your cabinet. The interface circuitboards are pre-configured and mounted to the back of the frame with all wiring in place. So literally all you do is plug in the power supply that’s included with the DMD, connect its USB cable to your PC, then copy some files to your PC from the supplied CD and away you go. 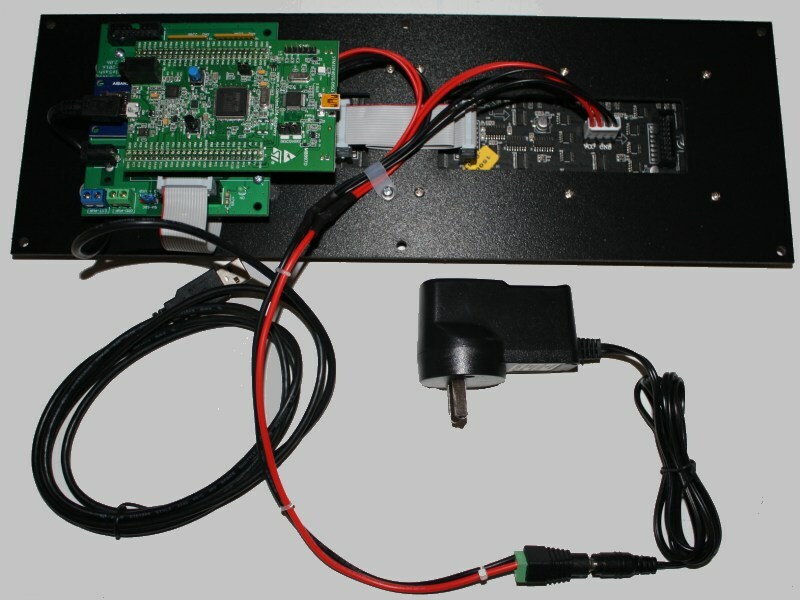 In addition to the purchase cost, you will need to make a “donation” to the PIN2DMD project to recieve an Activation Code to unlock the firmware installed into the unit. This is an anti-piracy measure they’ve had to put in place and the fee is referred to as a donation, with all proceeds going to charity. We have you do this during the ordering process and then have you send us the Activation Code File. This enables us to fully test your DMD unit before packing it and sending it to you. 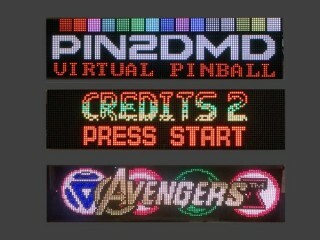 PIN2DMD is an open source project that relies on interest from the Virtual Pinball community to continue expanding. So by all means become involved and help to grow the project!